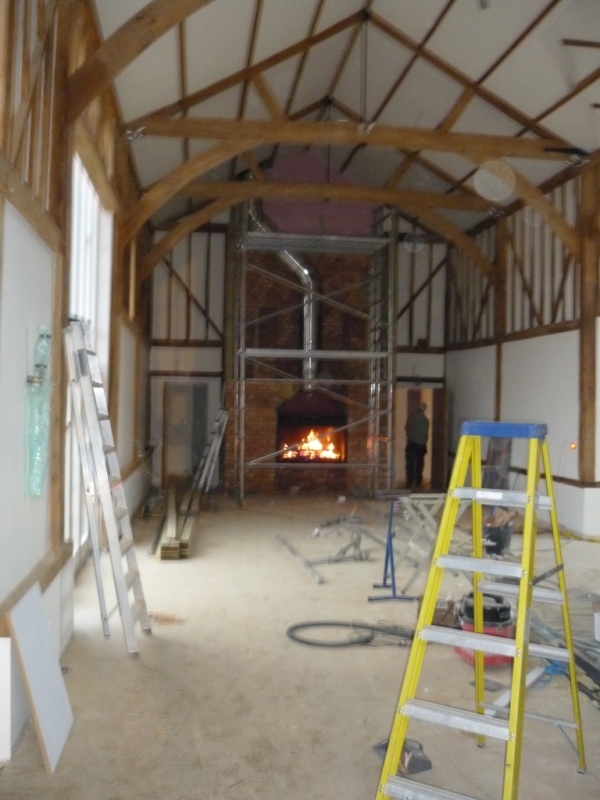 One thing we pride ourselves on at The Billington Partnership is being able to take on large and long projects which require an incredible amount of time and energy to complete. 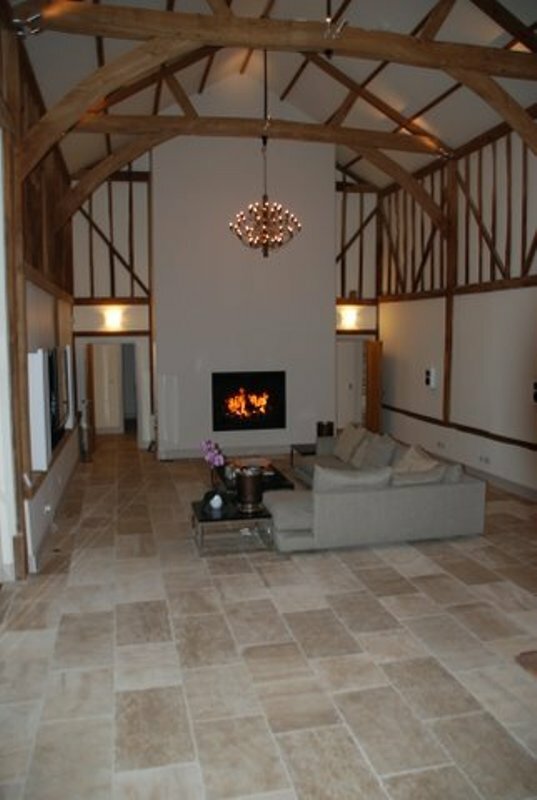 This installation project in Essex highlighted our abilities. 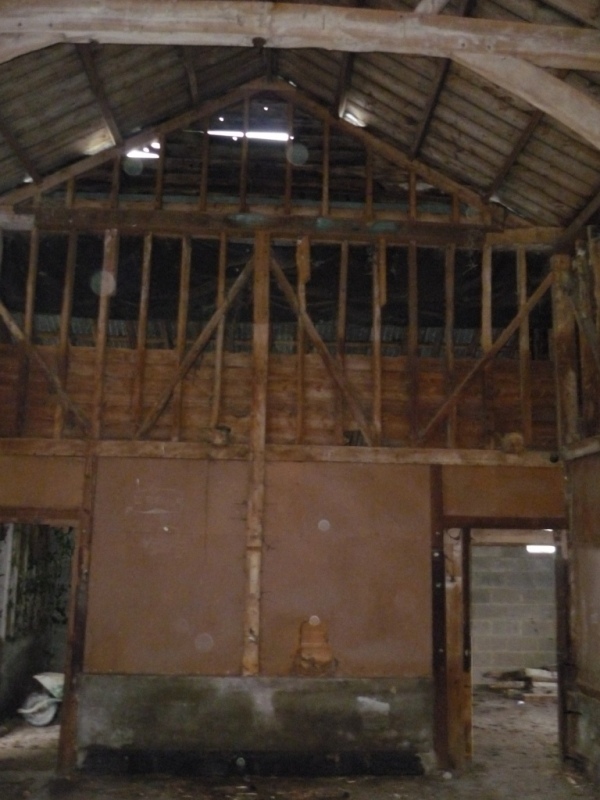 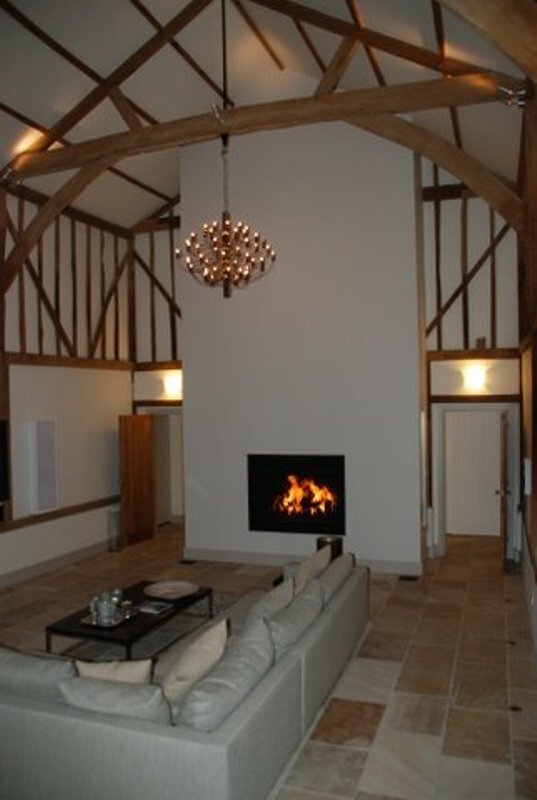 Our client was undertaking a massive refurbishment of an old barn, turning it into a spectacular entertaining area. 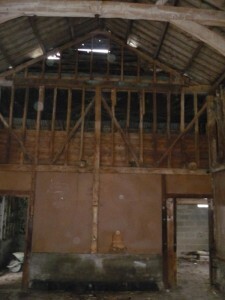 One of the main features of the barn was to be the fireplace. 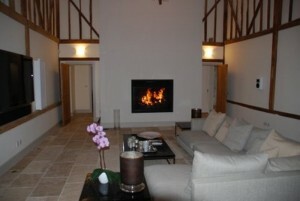 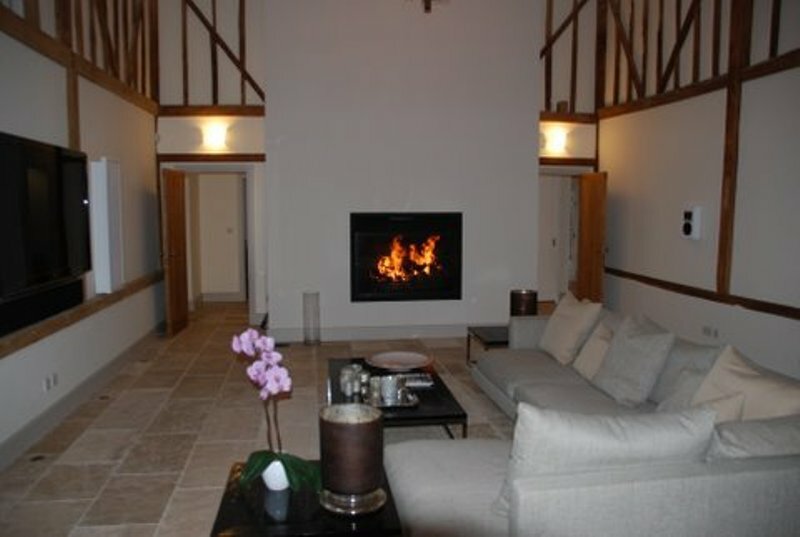 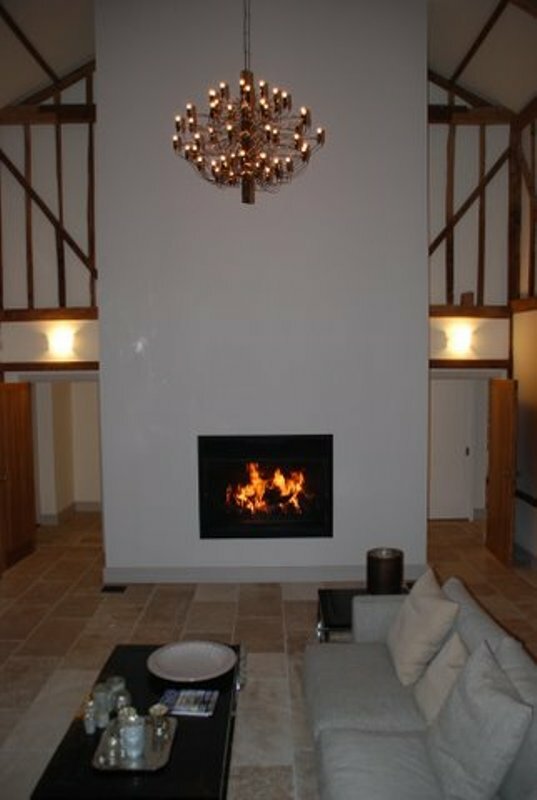 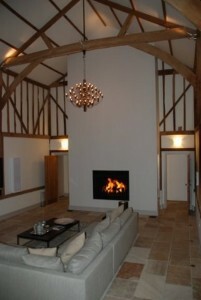 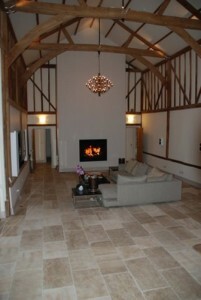 The client wanted the fireplace to have an impact as soon as you entered the barn at the opposite end. 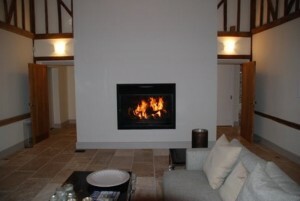 Along with other requests of a minimal look, contemporary feel and impressive heat output, we began our search. The product that we presented to the client was a Jetmaster Extra 1200. 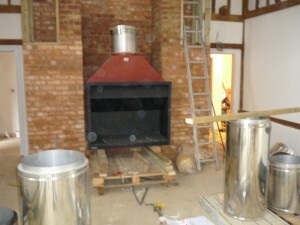 This is a massive bespoke version of Jetmaster’s popular Universal range. 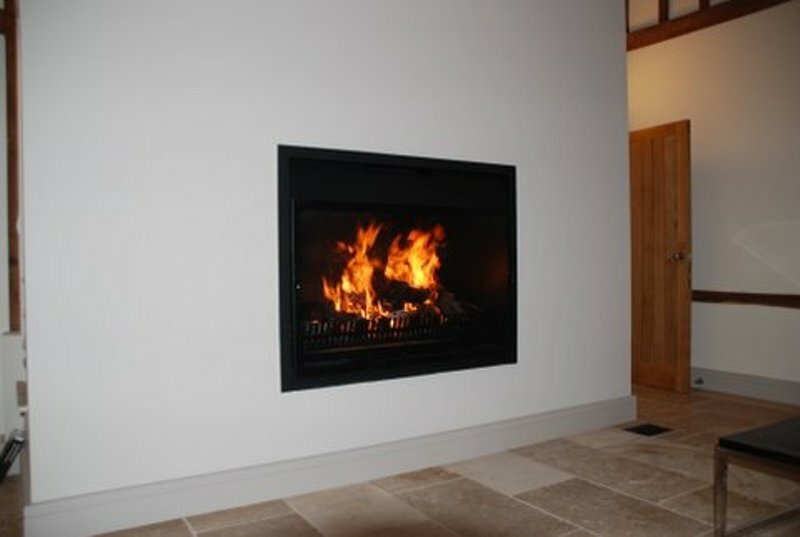 They only make 2 per year as not many locations can take such a large and powerful fireplace. 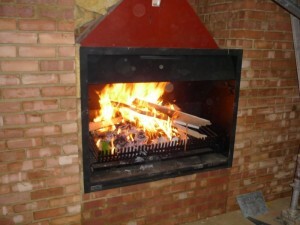 They are one of the most efficient open front solid fuel fireplaces and they give a fantastic flame picture when lit. 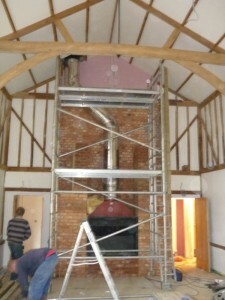 However, this large fireplace also required a huge flue system. 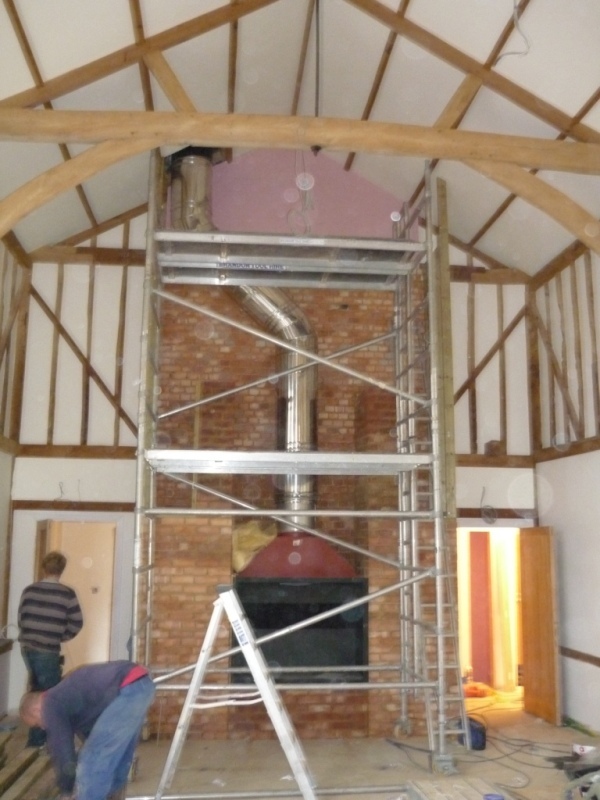 Luckily The Billington Partnership were able to supply and install the flue system required. 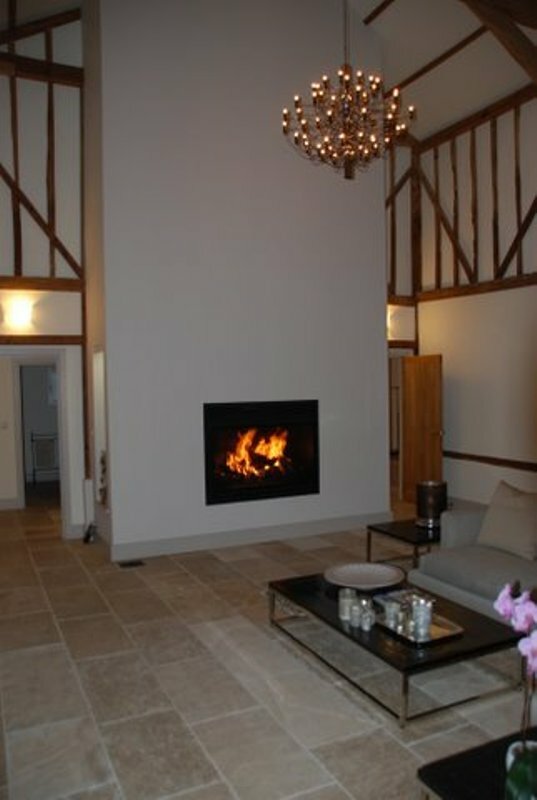 As you can see from the images it was an extensive project but extremely satisfying because the clients were absolutely delighted with the end result. 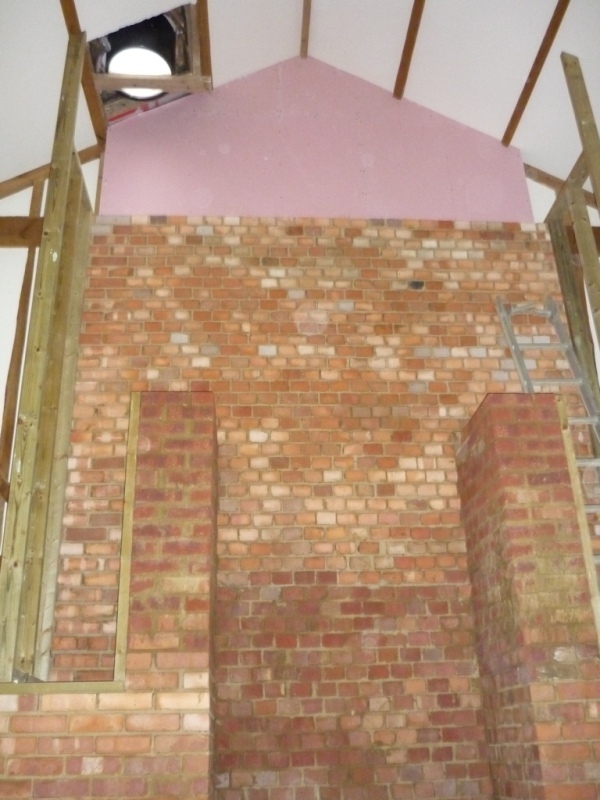 The images show the sequence of how the fireplace came together. If you would like to know more about the Jetmaster Extra 1200, contact The Billington Partnership.